Recently, I’ve established contact with a very nice man from Nigeria, Uche George, who obviously knows a lot about Rangers International FC in the Nigeria Premier League. I’ve asked him to describe some players that I’m curious of and he has also written interesting profiles on some of his own favorite players of the team. George writes that goalkeeper Ayalogu has been in exceptional form this season, and that he has been highly dependable in the absence of Ebele Obi. 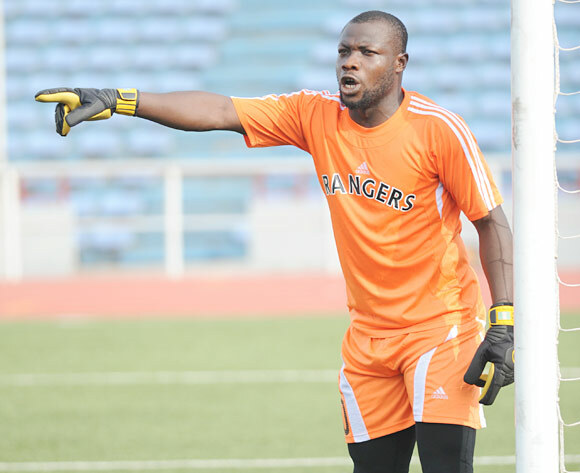 Obi is widely regarded as the first choice goalkeeper but he has apparently struggled with injuries this season. According to 2muchsports, Ayalogu is born 11.12.1985. As far as I know, he has been at Rangers for at least four seasons. The picture of Ayalogu is taken from MTN Football. George describes Uzochukwu as an energetic defensive midfielder with average height and good physic. He is very athletic, covers a lot of ground and does not lose steam easily. His style of play can be compared to Michael Essien of Chelsea FC. George writes that Uzochukwu can sometimes seem a bit raw, but that he is technically OK and tactically fair. He has a knack to initiate attacks, his long balls are great and he is also good with the short passes. His shooting is apparently terrible. Although he bags a great shot, they’re hardly ever on target. His greatest qualities are definitely defensive. Uzochukwu is a rugged tackler, the type that scares opponents and commits fouls. Even when he overlaps, he knows when to track back. He got injured during the Nigeria Premier League 2010-2011 and lost form, but he was gaining it back by the end of the season. According to 2muchsports, Uzochukwu is born 05.11.1992. However, the birthdate 11.03.1992 was found on the website of his former club Anambra Pillars FC. In any case, Uzochukwu is still a teenager and definitely a player to watch. 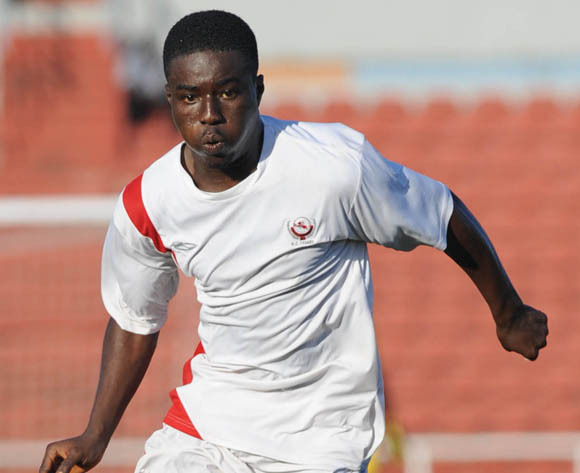 At Pillars, Uzochukwu also played in the defence, as a central defender or right-back. George writes that Oriaku was a regular fixture in the Nigeria Premier League 2010-2011. Oriaku was an important player as he constantly put up assured displays in the heart of the Rangers defence. Oriaku is powerfully built, physically strong, very athletic, and technically sound. In other words, he is a typical modern day defender, although he hardly ever overlaps. Oriaku is a clean tackler, unlike Uzochukwu, and hardly commits fouls, rather strange for a central defender. It’s not often Oriaku is caught napping, and he is not one of those defenders that are intimidated by fast attackers, since he’s also very quick. According to 2muchsports, Oriaku is born 14.02.1989. As far as I know, Oriaku has been playing in the lower leagues of Nigerian football before joining Rangers before the Nigeria Premier League 2010-2011, where he has made a great impact. The picture of Oriaku (right) is taken from MTN Football. George also made some interesting comments about Ifeanyi Egwim, who I presented in my post from 16.07.2011. George writes that he has watched Egwim play and that he is more of a support striker, who is also fantastic coming off the flanks. He does not possess breathtaking speed, and he sometimes appear fragile, but his skill more than makes up for it. He always fearlessly runs at defenders.Presently, George thinks Egwim is the most creative player at Rangers, and one of the best in the league. But instead of constantly going on trials abroad, George thinks he should focuse a bit on Rangers to enable him develop even more and fight his way into the national teams of Nigeria. George writes that Umar is normally a defensive midfielder who adapts effectively as a right-back. Umar is described as techically sound, and a player who takes full advantage of his physique which enables him to impose himself and assert himself into the game. His speed is apparently average and his tackling is clean as he rarely commits fouls. Umar has apparently not been playing regularly, which is somewhat surprisingly. According to 2muchspors, Umar is born 13.03.1992. He is a former player of Zamfara United FC. The picture of Umar is taken from MTN Football. George writes that Uzoenyi normally is an exceptional player but that he has been in and out of form this season. Apparently, this has been his worst season at Rangers and the constant trials abroad has not helped him settle. However, on a few occasions Uzoenyi has shown glimpses of his full potentials. According to 2muchsports, Uzoenyi born 23.03.1988. Uzoenyi is normally a left-winger / attacking midfielder. 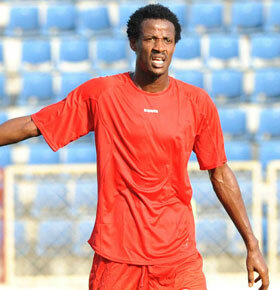 Uzoenyi is a former player of Enyimba FC and he has been with Rangers for two and a half season. 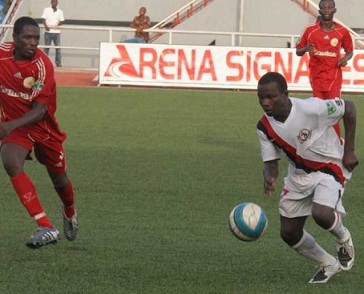 The picture of Uzoenyi (right) is taken from nigeriapremierleague.wordpress.com. George writes that Eze is definitely a player to watch. Eze is described as a pint sized midfielder. 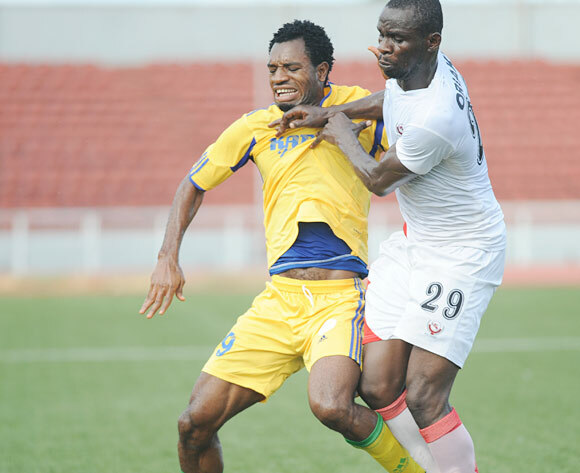 He started out as an anchor and played more regularly when Uzochukwu got in jured. In recent times, Eze has been used as a playmaker and has excelled even better. In George’s opinion, Eze is a potential world class player. Eze ossesses a fair amount of dribbling and good speed. He is technically gifted and tactical sound. His passing is above average, both with the short passes and long balls, and he is never afraid to take a shot and even scores on a few occasions. He covers good grounds, creates space, and just like Haliru Umar, is good with space marking. He’s tackling is average, but George has never watched him commit silly fouls. Even when the team plays poorly, he always distinguishes himself. And with his “Xavi-like twists and turns” he is fast becoming the favorite of the fans at Rangers. Great article, glad i could be of help. Like most NPL fans, i hope the private sector is allowed to get involved with the club, cos alot of us are willing to contribute our quota, to help the club get over the disaster at Togo.